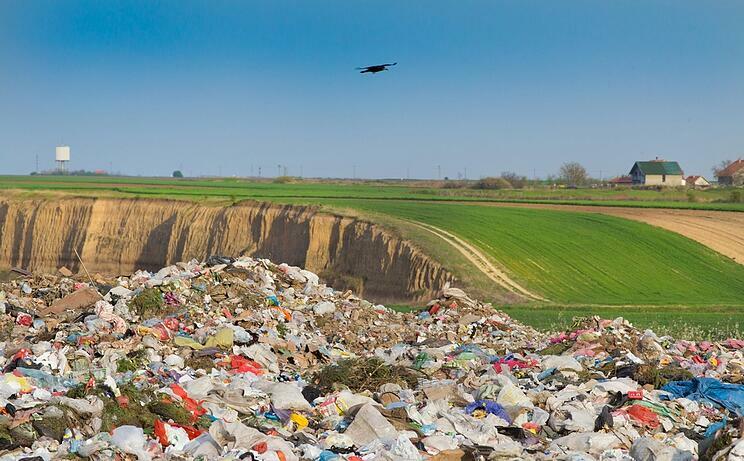 Landfills in the United States are being filled and closing faster than new ones are becoming active. All of which highlights the need for recycling much of what gets hauled with junk removal. According to statistics provided in a report from SaveOnEnergy, there are currently over 2,000 active landfills across the country while the number of closed, or inactive, landfill locations reaches into the thousands. From plastic and metal, to glass and paper, the variety of materials that could be recycled is vast and abundant. In fact, a 12 foot high wall running from Los Angeles to New York City could be made from the office paper tossed away every year. In addition, the amount of paper and plastic cups, forks, and spoons disposed of annually could wrap around the equator 300 times! The reality is that, as a nation, the United States is doing more to recycle than ever before. But the numbers could be far better. The amount of garbage that Americans are now recycling each year is just over 34 percent of the total amount put into the waste stream. Increased recycling and composting has helped prevent over 87 million tons of material from being disposed in 2013. This is an increase of 15 million tons over the amount recorded in 1980. Unfortunately, the number of available landfills for the increasing amount of junk and waste produced each year is dropping. In fact, according to a report in Statistic Brain, the number of open landfills back in 1990 was over 7,900. This dropped twenty-five years later to just 1, 650 or so in 2015. While the quantity of Municipal Solid Waste (MSW) recovered for recycling (58.4 million tons in 2015) and for composting (20.6 million tons) has increased dramatically, this still only represents about 10 percent of the solid garbage that gets recycled in U.S. In the meantime, the overall available landfills for the remainder of the waste has decreased much faster. The obvious solution might seem to be to create more landfills. But the better answer is more recycling, especially given the fact that all landfills will eventually fail and leak leachate into ground and surface water plastic landfill and plastic pipes allow chemicals and gases to pass through their membranes. Eventually they become brittle, swell, and breakdown. While landfills won't be going away any time soon, unfortunately, neither will the various problems they present for the future. Bring reusable bags when you go shopping, and choose reusable containers for packing meals. Buy in bulk whenever possible. Beware of double packing – or individually wrapped items that are repackaged and sold as bulk. Compost your food scraps and yard waste whenever possible. Cut back on junk mail – you receive more than 30 pounds of it per year. Junk does not have to end up in a landfill, and Junk King believes in recycling every bit of material possible. Recycling plays an important role in the company mission. Along with scrap metal, we recycle tons of other materials such as wood, textiles, electronic equipment and more. We pioneered recycling based junk removal in 2005 and have been going greener ever since. We sort each and every job for metals, e-waste, paper, household goods, textiles, furniture and appliances, in our recycling warehouses. But “going green” also means we donate, repurpose, and reuse everything from clothing, toys, baby cribs and strollers to office furniture and supplies. We also send usable items to local non-profits and donation centers to help the community and reduce waste. We run many of our trucks run on biodiesel, a domestically produced fuel made from more environmentally safe non-petroleum, renewable resources. 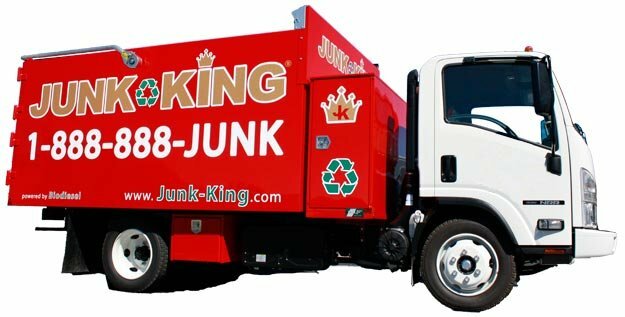 Junk King provides an efficient, safe and eco-friendly junk removal service so you don’t need to worry about the pick up or disposal of the debris after your project is complete. Whether you need our services several times during a storage space cleaning project, or just once after it is complete, our hauling professionals will ensure that the furniture and debris is quickly out of your way so that you can get on with your life. If you have questions about what we do or what we believe, give us a call at (707) 744-4254.